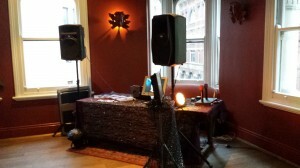 As a karaoke party supplier we hire out and manage karaoke for events and functions in Sydney. Over the past 10 years we have hosted thousands of parties. And in this field our expertise is second to none. We manage karaoke parties at Sydney’s top venues including The Star Casino, The Orient in The Rocks and The Collingwood Hotel in Liverpool, to name a few. The same experienced Hosts that compere and manage the weekly shows at these Sydney venues also host at corporate and private parties. It is this experience that has seen our business grow to be the leading supplier in Sydney. Below are the testimonials from our customers. Many of whom hire our service on an annual basis. We are the karaoke party supplier of choice to customers who look for a consistently high standard for their functions. “Thanks as always for last night, the guys were amazing! We had a ball!… You are our Go To Guy for karaoke”. “Good night. Did not think the boss would have a go. All credit to our host, funny guy”. “We had a wonderful day thankyou for helping to make it a success. Everybody is still raving about the karaoke”. This are just a few of the most recent testimonials we have received. Many of our past corporate clients continue to book their End of Financial Year and Christmas Parties with us. 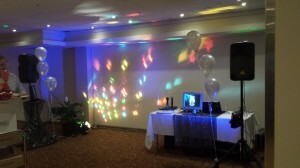 And it may come as a surprise that as a karaoke party supplier we are also regularly booked for Wedding Receptions. These kind words help ensure we enthusiastically keep our standards high.